Consider it a miss. Earlier this year, Canadian Geographic and The Walrus magazine collaborated to produce The Story of Canada in 150 Objects, a special issue in honour of Canada’s sesquicentennial. I was part of the group that agonized over the list of items included in that issue, and since its publication in January I’ve thought of very few things we forgot. One of them: the iconic Tilley hat. Conceived of by sailor Alex Tilley in 1980, Tilleys, with their lifetime guarantee, are as recognizable among the outdoor adventure set as trucker caps are among long-haul drivers. And for good reason. I was reminded of both the hat’s iconic status and its renowned reliability when I tested the Tilley Paddler’s Hat this past summer. 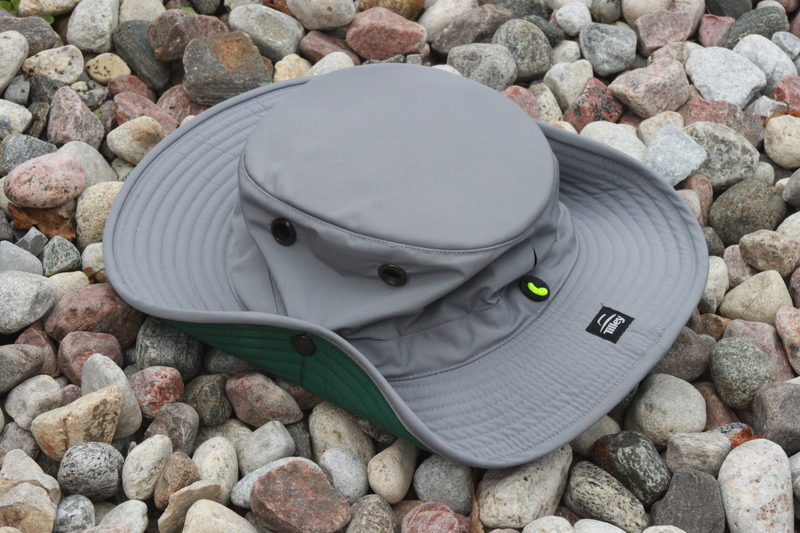 Now to be clear, the Paddler’s Hat, as with most of Tilley’s headwear, isn’t only for canoeists, but rather for any outdoor enthusiast looking to keep dry and cool in spring, summer or fall. Indeed, I tested my hat through a range of my personal outdoor pursuits from a late-May visit to Niagara Falls, Ont., to a mid-summer trek to the Family Fun Center in Wilsonville, Oregon. In both instances, the hat’s waterproofing kept my noggin perfectly dry, be it from the constant spray of the falls on the Hornblower cruise or as a shield on the bumper boats. Of course, with side vents and a mesh lining in the crown, the Paddler’s Hat also keeps you cool. And its 50+ ultraviolet protection factor (like SPF but for fabric, and the maximum available) is a plus anyone worried about sun exposure can appreciate. Now to be clear, the Paddler’s Hat, as with most of Tilley’s headwear, isn’t necessarily for the fashion forward. But don’t get me wrong, it has that iconic Tilley look and function far outperforms form when it comes to reliable outerwear. Indeed, its wind-resistant design kept it firmly on my head in strong gusts at the base of Niagara’s fury (and the adjustable draw cord helped ensure it wouldn’t leave my person). The wide brim also kept both the rain (from more than a few torrential summer downpours during my coaching duties at kid’s soccer) and the sun off and out of my face. Plus, the hidden pocket in the crown is a handy feature. Tilley promises that “no matter what paddling sport you participate in, this hat will become part of your ‘must-have’ equipment.” And while I’m loathe to just repeat a company’s marketing message, I’ll go a step further: the Paddler’s Hat should become part of your essential outerwear, period, be you a paddler or not. It journeyed with me from Niagara to Labrador’s Torngat Mountains National Park to northwestern Manitoba’s Ganglers North Seal River Lodge and everywhere in between to keep me dry, cool and my head protected from the sun.